Under Armour Canada has an awesome summer sale available now! 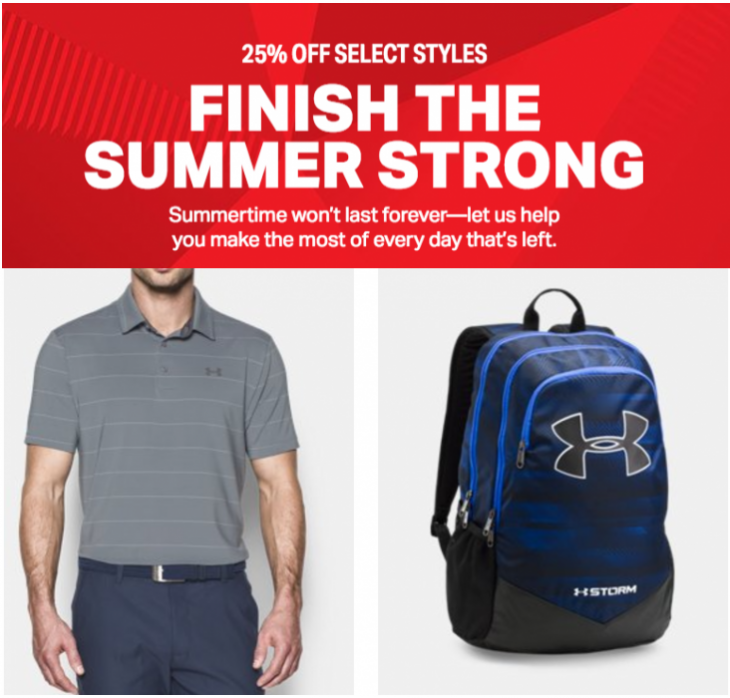 The Under Armour summer sale includes save 25% off on select styles. The Under Armour sale is available now untilSunday, August 13, 2017. Under Armour offers FREE shipping on all orders that are $75 or more.